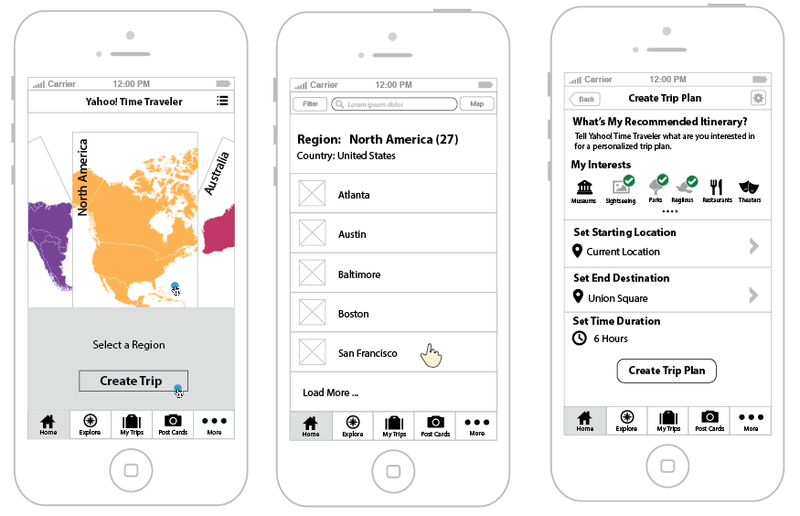 TimeTraveller is an iOs travel app that launched in January 2013. It was featured in the Apple iTunes store. 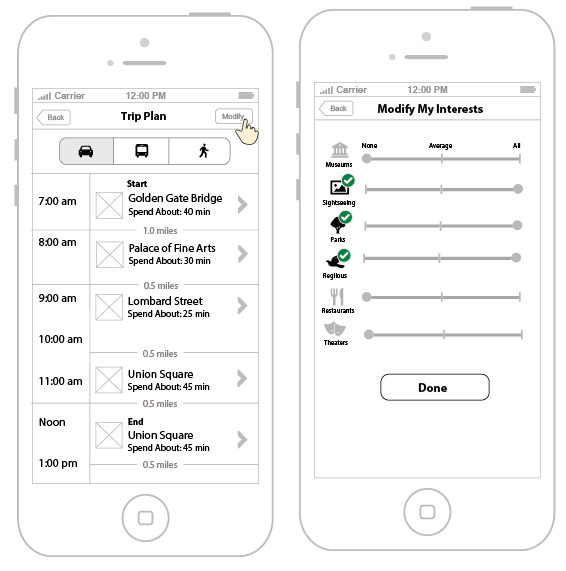 Challenges: Redesigning the app to add 200 new cities, add new features and change the look and feel of the app. I worked with 3 project managers, 1 lead engineer and the VP of travel. I was the solo designer on this project. The timeline was 6 weeks from wireframe to high fidelity. Concept 1: Entry point broken up into 3 categories (nearby attractions, explore and my trips) Users can take on the map region views to learn what each city offers for tourists. Concept 2: Entry point rotating globe, tap on each region and scroll down. Concept 3: Entry point card view of the 7 regions.